Published on October 19, 2012 in America and Freedom. 0 Comments Tags: against, NC, NDAA, no, North Carolina, Representatives, Senators, state reps, Us reps. Note and Disclaimer: This is not endorsed nor is this article influenced nor authorized by any political committee, campaign, nor the candidates themselves. This is a independent analysis of information that I had read from different sources and put together for this article. All information here should be accurate and if there is any mistakes then please email brandonjayr @ ymail.com under the Subject “Attention: Your article has made a mistake. Please correct!” and I will correct the mistake in this article. This article was not paid for nor authorized by any political action committee. Right now a lot of alternative media go after corrupt politicians and crooked cops but today a new trend will begin, supporting and highlighting all politicians from North Carolina that are dead set against the NDAA. Of course more states will also be included in future articles but we need to support every real politician by whatever means whether it is campaign contributions as a thank you for protecting their constituents civil liberties or whether its giving more support by sending a email to the reps office showing appreciation for the great work done by real representatives instead of fake republicans and democrats using communists under the name neocons and using liberals which aren’t really liberal but are authoritarians in nature that wish to destroy the United States in favor of a global empire by the United Nations. North Carolina comes first as it is one of the thirteen colony states that fought against Great Britain so we must stand with our founding fathers and stand up with the real representatives demanding real change instead of a bribe for every corrupt law ever passed that got good hard working people into the prison-industrial-complex. It doesn’t just start with Ron Paul or Virgil Goode or even Gary Johnson, it starts with people like NC House Representative Bryan Holloway, NC House Representative Glen Bradley or even the US Congressional candidate Bill Randall that is a very good heart man that knows what we are facing instead of just drinking the koolade and enforcing tyranny down the peoples throats. We need to get behind these real representatives and advertise them like hell until we push the fake republicans and democrats out of office and finally put real representatives with real honor, real value, and real integrity, and isn’t arrogant and isn’t lusting for power and wealth off the taxpayers. So here is the honorable representatives, senators, and other politicians in the state of North Carolina that deserve our gratitude and support for their efforts for Liberty and Freedom and against the National Defense Authorization Act for fiscal year 2012. Rep Holloway supported H.R. 982, by help with the Nullify-NDAA Petition supplied by former and disappeared reporters for shut down USWGO Alternative News and it’s Political Action Center which had over 200 signatures of signed support directly from verified constituents from Rockingham County one of two counties he represents. The bill he favored was to get the whole state of North Carolina to state in the law books that the NDAA violates many sections of both the US Constitution and NC Constitution and therefore North Carolina officially opposes the NDAA 2012 Law therefore forcing NC Senators such as Kay Hagan which openly supports the NDAA, and Richard Burr to change their stance on future voting on reauthorizing the National Defense Authorization Act as long as the controversial amendment continues to exist that legalizes making any American disappear on the suspicion of terrorism with no charges being brought by any police or Sheriff department and no court trial not even a tribunal. This NC bill would also impact every US Representative that voted in favor of the NDAA to force them under political pressure to change their votes or even to repeal the Amendment of secret arrests, detention without trial, and torture, or face a Public Relations Nightmare/Debacle during the next election campaign. Rep. Holloway did his job representing his people of the 91st District of North Carolina, he didn’t just do what Brian Hill wanted but he did what the people wanted and that was to protect the peoples sacred Bill Of Rights within his own power in his state. He accomplished a lot more then NC Senator Phil Berger that knowingly betrayed his constituents by throwing out the petition with no legal remedies whatsoever then when Mr. Hill tried to fight him politically with the truth, always the truth, not slander, he was forcefully thrown out of the town council which was on a YouTube video, now disappeared. 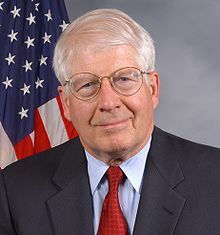 Rep. Bert Jones was just a coward dentist that likely puts fluoride at his dentist job, although we haven’t confirmed this yet but we only assume at this time, he refused to take any action same as Sen. Berger. 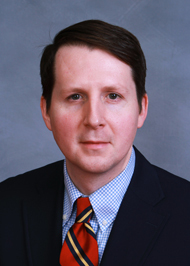 We need people more like Bryan Holloway and not the fake republicans that probably go to country clubs every single week while stabbing their constituents in the back and then laughing about it like it is funny to them while they act like they are republicans ready to save the republic and balance the budget when the evidence shows they are fake. Power to Bryan Holloway!!!!! In session until the end of 2012, he must be reelected again if possible. The original drafter and primary sponsor of NC House Resolution 982 which was to get the state of North Carolina to officially oppose the NDAA Federal law which would set a precedent in the media getting other states interested in doing similar acts to go against human-slaughtering tyrannical oppression by the Executive Branch and other government agencies like the FBI, CIA, DHS, Northcom, and others. Not only did he go against the NDAA but also a state version of Agenda 21. He was also in favor of allowing North Carolina to use gold as a tender which would thwart the illegal Federal Reserve’s efforts to destroy the dollar by constantly inflating the dollar to destroy the rich and middle class to help with the development of a One World Currency under the New World Order. 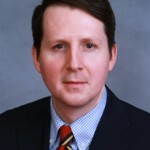 He was defeated when running for NC Senate so he will soon be out of office at the end of 2012 which is a stab in the chest for liberty lovers out there as there will likely be a bribe-required pay-to-play slave politician getting paid by Bank of America and Wells Fargo in his place like with Senator Berger. We will include these entries in the 2nd article covering North Carolina politicians against the NDAA. A Congressman for the district of North Carolina has ended up voting No on the NDAA 2012 law and has been proven by roll call check from the house clerks government site. 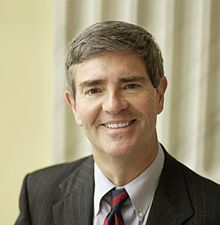 He has proven to me that there are still good US representatives in the state of North Carolina that aren’t in favor of blatant corruption and evil. 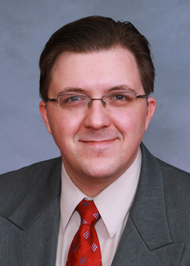 We are still finding more US Reps from North Carolina that are against the NDAA unconstitutional statute. Check our 2nd article when created for more details. We are sorry to report that no US senator of North Carolina stood against the NDAA! So let us salute the real representatives in office that won’t just vote for the NDAA and destroy the Constitution simply to fight Al-Qaeda that is already public working with the White House according to the CFR report and more. Even if they aren’t completely representing the people, these have done better then most by taking the first step by saying No to the NDAA. Give thanks to those that chose to support the right to a court trial and jury instead of indefinite imprisonment and torture by the White House.